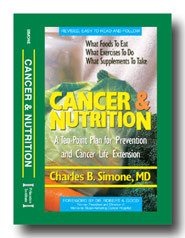 by Charles B. Simone, M.MS., M.D. Over 80% of American women have painful lumpy breasts that increase cancer risk. One in eight American women develop breast cancer (A). Those with breast cancer today live no longer than those who had it in 1920 (B). Treatments produce the same length of life, but when you modify your lifestyle, you may live longer (C). 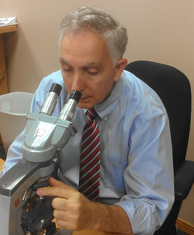 Dr. Simone reviews how breast health can be yours. Since genetics causes only 7% of cases, you have control. 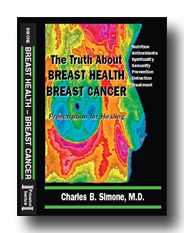 Dr. Simone, a world renowned cancer specialist, is brave enough to share with you the truth about breast cancer without emotion or influence from the medical establishment, pharmaceutical industry, national organizations, special interest groups or government agencies. Be your own advocate. Don’t leave it to others. You can virtually control the destiny of your health. By following his easy Ten Point Plan, you can reduce your risk for breast cancer and stop breast pain, or, if you have breast cancer, you can help to extend your life. The choice is yours.